Summer means freedom from clothes that trap us in. And what can be better than dresses that are breezy, flowy and make us look oh-so-chic. No matter where the winds of fashion take us, dresses will forever be our style go-to. They are all-in-one, zip-and-go versatile outfits that can be easily gussied up or toned down. So, here we are with 10 amazing dresses that you need for a comfy and stylish summer. And hey, they are all under 999. Check em’ out. 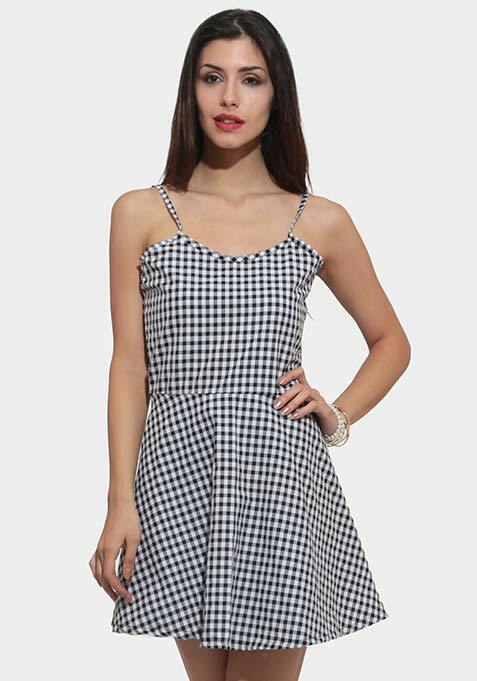 This gingham cotton dress is just what you need for some cool breezy time on a warm summer day. Team it with some funky accessories and cut-out oxfords on a girl day out. If you love monochrome, you’ll surely love this dress. Be it weekend cocktails, a flirty date or a night out with the girls, this mini dress will make you look super stylish (don’t forget to check out the back) and the fabric will keep you comfy at the same time. You just can’t go wrong with this uber-cool shift dress. This easy breezy super comfy dress is great to sport on those shopping days when you want to be free and unperturbed by your clothes. 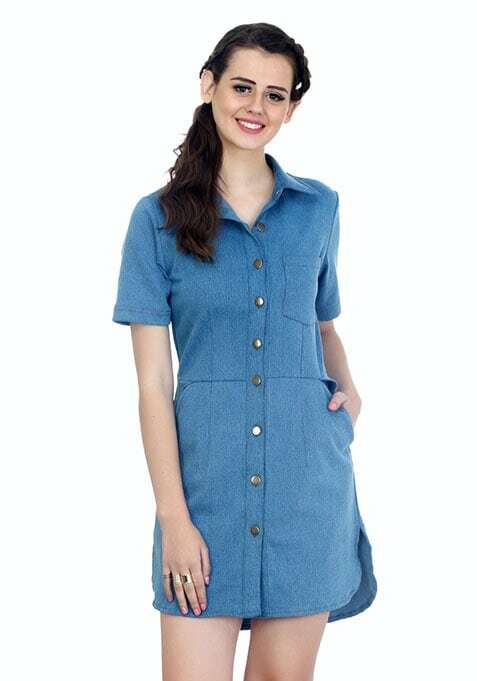 Beat summer blues with this amazing denim shirt dress. Perfect to step out in when you’ve to go to your local pub and watch your favourite indie pop band perform. Team with cool sneakers and own the summer! Add flower power to your wardrobe with this pretty floral wrap dress – a must, must have. Perfect for a stylish off-duty day. It is chic, comfy and bound to turn heads. Sometimes a girl just wants to go out on the town and not have to worry and fuss over what she's got on. And this hot orange maxi dress serves the purpose. Just pair with your favourite sandals and a hat; and you can get away with murder. Make him drool or show him what he’s missing – in this super-glamorous, bombshell dress. Just add a statement neckpiece and fancy heels, and you’re good to go. Why ditch lace in the summer? Show your love for lace with this super pretty dress featuring a skater style and white lace scalloped hem. Style with a cutesy headband and strappy flats for a perfect summer day look. Maxis are super comfy, super gorgeous and super summery. Float around in this dreamy white maxi dress and let the good times roll in. Add a statement bracelet and pink dewy lips for a beachin' look. This peplum dress is a great option for days you want to stand out from the crowd. Pair with strappy flats and loose waves for some chic time under the sun.